Each year the parade committee sponsors a house decorating contest. Every house in Summit Hill is eligible (including White Bear and Mountain Top Road). This is judged over Memorial Day Weekend. We also sponsor a float decorating contest for participating floats with a patriotic theme. This is judged during the parade. Judges are not residents of Summit Hill. Monetary prizes are given for both! Welcome to the Summit Hill Memorial Day Parade!!! Parades have always played a big part in the life of the people of Summit Hill. For over 100 years all kinds of parades have been held—rain or shine, winter or summer. 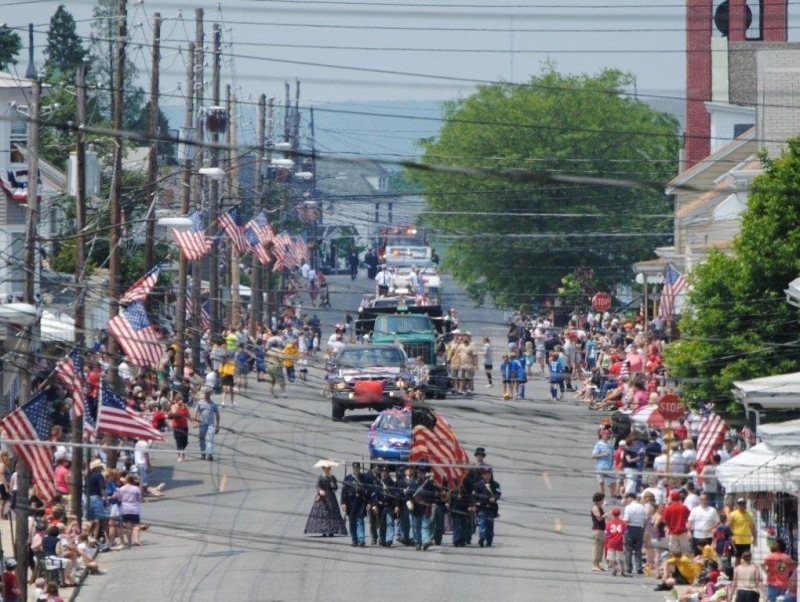 However, the most famous para de in town is its Memorial Day Parade. Summit Hill is home to 13 cemeteries and every year thousands of people from near and far come to pay their respects and place flowers on the graves of family and friends. The town swells with a festive atmosphere of those renewing old friendships as well as remembering our fallen heroes. Over the weekend there are several services honoring the dead. A roll call of deceased veterans, recitations of Logan’s General Orders, Flanders Field and the Gettysburg Address all honor those who sacrificed their lives for the freedoms we enjoy today. Since the 1920’s, school children were required to march and attendance was mandatory. In the late 1940’s, after World War II, the parades became even larger. The towns of the Panther Valley joined together their high school and Legion bands with renewed patriotism and the streets were lined with people not only celebrating the return of a new group of veterans but also remembering those who made the supreme sacrifice and gave their lives. Today the town of Summit Hill continues to celebrate Memorial Day. Monday morning the people of town turn their attention to honoring veterans with a memorial service in Ludlow Park. After the service, a 4 division parade winds throughout the town paying tribute to the men and women who have so bravely served our country. Ninety-year-old John Majez, a lifelong resident of Summit Hill, has been selected by the Summit Hill Memorial Day Parade Committee to lead the 2018 parade, Carbon County’s largest tribute to America’s servicemen and women, which will take place on Monday beginning at 11 a.m. at Ludlow Park. 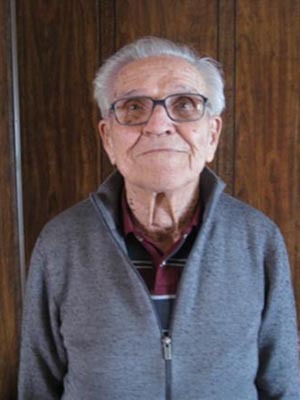 Majez will ring the old bell of the former Summit Hill High School, from where he graduated in 1945, signaling the step off the line of march that will head west on Ludlow Street, round St. Joseph Catholic Church and proceed east for the full length of White Street. The parade will follow the traditional memorial services that will begin at 10 a.m. in Ludlow Park, where Summit Hill native Bruce Frassinelli, a Summit Hill native who spent nearly 60 years in the communications and education fields, and who was a Pulitzer Prize nominee, will deliver the keynote address. The grand marshal is a 71-year member of American Legion Post 316, Summit Hill, having joined the post upon his honorable discharge from the U.S. Army in 1947.